The following was compiled by Ben Dimiero of Media Matters for America, a progressive media watchdog organization scrutinizing conservative media figures and outlets. Beck announced last week that he was working with James Dobson to help form the Regiment. In the past, Dobson and his organizations have repeatedly used churches to attempt to influence elections. The Alliance Defense Fund, which Dobson co-founded, sought preachers who were willing to challenge the IRS over whether tax-exempt churches could explicitly endorse or oppose candidates. Last month, Beck promoted the ADF's "Pulpit Freedom Sunday" initiative. 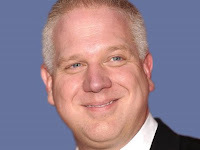 During the segment, David Barton - whom Beck has credited with helping hatch the idea of the Regiment -- described the movement as "several hundred preachers" saying to the IRS, "come after me. I dare you." Additionally, as reported by The Washington Post in 2006, Dobson's Focus on the Family group announced that it would "work with affiliated groups in eight battleground states to mobilize evangelical voters in the November elections." The Black Robe Regiment's connections to partisan politics run even deeper. At least two members of the group are closely tied to former Speaker of the House and putative 2012 presidential candidate Newt Gingrich and his Renewing American Leadership group. Barton, who "spearheaded the Republican National Committee's rigorous outreach to pastors in 2004, "is listed as a board member. Joining Barton is Black Rober Dr. Jim Garlow, who serves as the group's chairman. As we documented this week, numerous members of the supposedly nonpolitical Black Robe Regiment share a fervent opposition to the "homosexual agenda" and are strident opponents of gay marriage. Included in this anti-gay army of God is Maggie Gallagher, whose association with the Black Robe Regiment further makes a mockery of the idea that this group is non-political. Gallagher, who confirmed her involvement with the group to Media Matters, is neither a pastor nor a religious figure; she's an anti-gay activist. Her organizations, National Organization for Marriage (NOM) and the Institute for Marriage and Public Policy, both revolve around "protecting marriage" - by which, of course, they mean denying gays t he right to marry. I knew this group would be totally political. Big surprise huh? I'm actually getting confused as to what in the hell Beck is up to. He seems to buy into the "Christian Nation" label but, he turns around and says that religion and politics should not ever mix. I don't know where he's going half the time. On an off topic note, did you notice how his set has changed on the show? It now looks like a total class room with a ton of blackboards and an old fashioned looking wooden desk with his logo on it. I think this way he can psych folks out by being the "teacher" and we are the pupils. Have not noticed the new set. It's ironic that someone who rails against universities want's to come off as an instructor of the creed: Worry, be stupid. If you're confused about what Beck is up to, it's because you're thinking rationally. Beck uses "truthiness;" what FEELS right. When he claims that religion and politics should not mix, he's lying. Proof of that is his close relationship to David Barton.